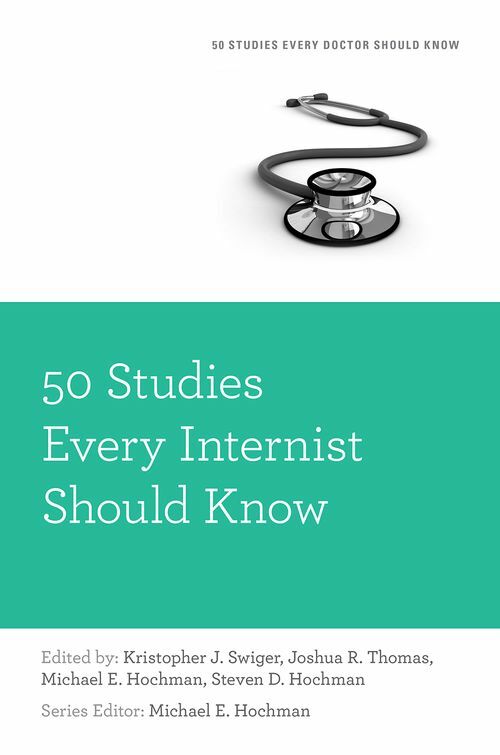 50 Studies Every Internist Should Know presents key studies that have shaped the practice of internal medicine. Selected using a rigorous methodology, the studies cover topics including: preventative medicine, endocrinology, hematology and oncology, musculoskeletal diseases, nephrology, gastroenterology, infectious diseases, cardiology, pulmonology, geriatrics and palliative care, and mental health. For each study, a concise summary is presented with an emphasis on the results and limitations of the study, and its implications for practice. An illustrative clinical case concludes each review, followed by brief information on other relevant studies. This book is a must-read for health care professionals and anyone who wants to learn more about the data behind clinical practice. MH: Medical Director for Innovation, AltaMed Health Services and Robert Wood Johnson Foundation Clinical Scholar, Department of Internal Medicine, University of California, Los Angeles. CNP: Fellow, Division of Cardiology, University of Pennsylvania School of Medicine.